September 1-2, 2019 marks the 31st anniversary of Don King Days. Always held the Sunday & Monday of Labor Day weekend, this grand celebration features a variety of events, such as championship steer roping, old style bronc riding, and polo. The best part is that all the fun is right in front of you . . . no arena fences or barriers. Labor Day Weekend, 2019 will be the 31st year for Don King Days which is considered to be the grand finale of equestrian events in the area. It all started back in 1989 when a group of ranchers, ropers and friends of Don King organized the event and named it in honor the world-renowned saddle maker and King’s Saddlery founder who contributed so much to the western culture. 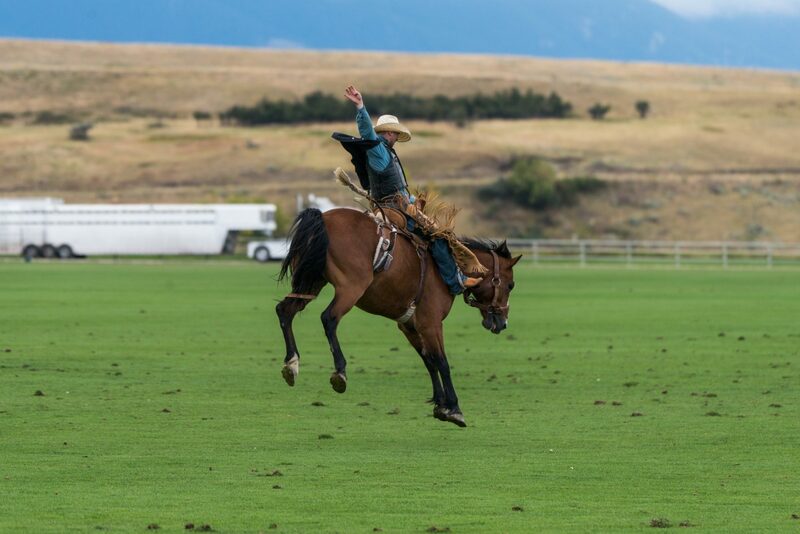 Their intent was to celebrate the classic equestrian events unique to the Sheridan area — polo, steer roping and bronc riding. 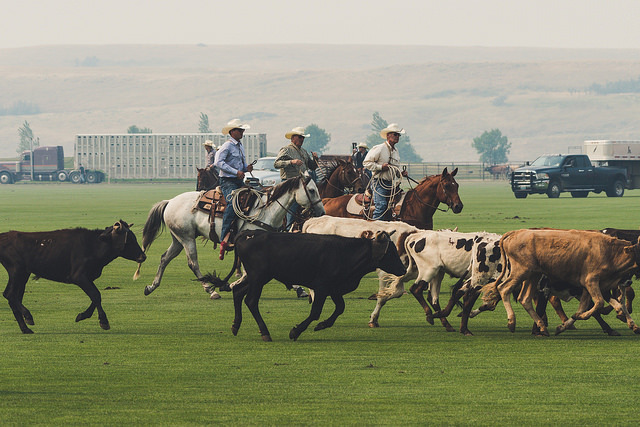 POLO — The largest polo tournament of the Big Horn Polo Club’s season is played over this weekend, culminating with the Don King Days Cup on Monday. STEER ROPING — Steer roping is a sport that developed out of necessity on the open range in the late 1800’s and continues to be a common method of doctoring cattle. The Wyoming Steer Ropers have selected Don King Days as the scene for their season finals. BRONC RIDING — The invitational matched bronc riding at Don King Days is truly unique. The bronc is saddled and blindfolded, then snubbed up to a pick-up man’s horse. The cowboy, riding double behind the other pick-up man, eases himself onto the waiting bronc. As soon as the cowboy is “set”, the blindfold is taken off the bronc and the excitement begins! Since there are no fences, the action can get real close, putting the crowd right in the action! AND MORE — The World Championship Blacksmiths Horseshoeing Contest has been hosted by Don King Days since 2013. 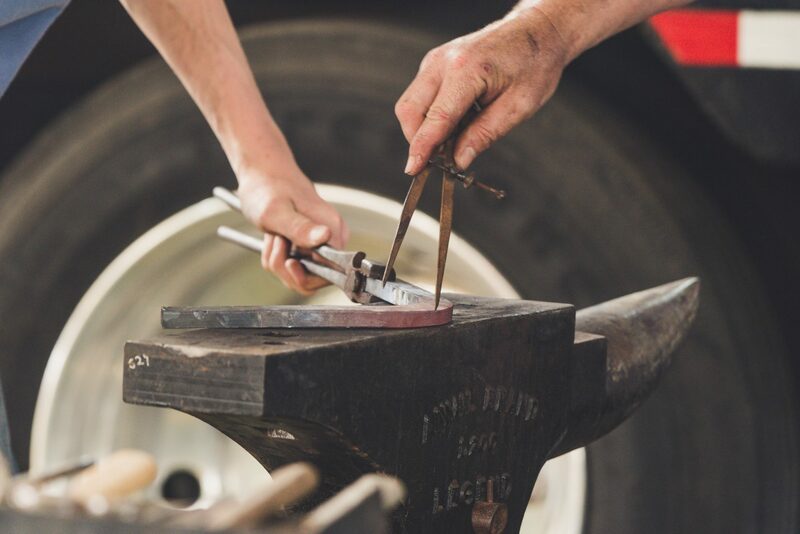 It’s a 3-day event where hot-iron craftsmen from all over the world go head-to-head showcasing their abilities — building the best horseshoes and placing them on the horses’ feet in a timely manner. The action begins on Saturday, August 31st. MUSIC — Sunday and Monday after the field action winds down, head on over to the Club House to listen and dance to the live music. In 2018, Nashville recording artist Paul Bogart and his band entertained us all. Paul makes Don King Days a regular stop on his late summer tour each year. An avid horseman himself, Paul writes his own songs about the cowboy lifestyle.